A full gut renovation of a master bathroom and a guest bathroom in a spacious 2 bedroom apartment near Central Park in New York. In this Design/Build Project we upgraded the plumbing, plumbing fixtures, re-tiled bathrooms and added new lighting fixtures. The bathroom features Fresca Vanities and Fixtures which are complemented by Glacier Bay Mirror, Kohler Tub and fixtures, Lithonia lighting fixtures and Custom Glass enclosures. 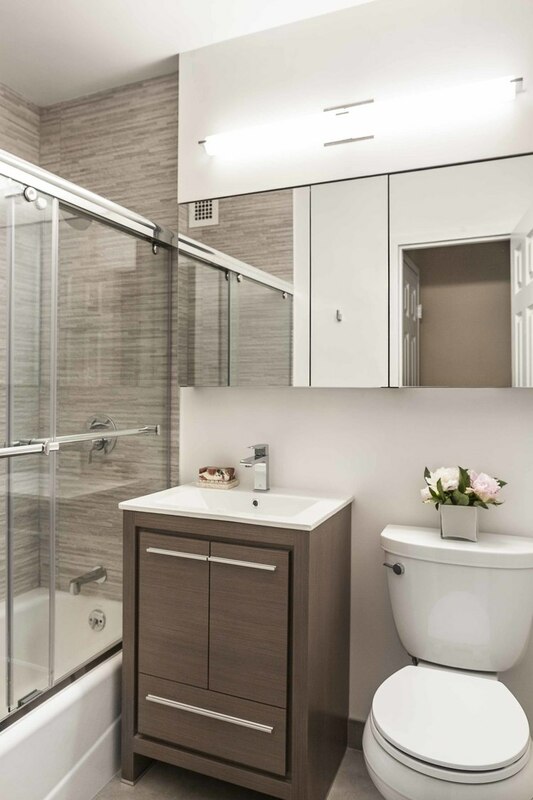 We provided Design, Construction and Management Services in addition to Owner’s Representation providing expert cost estimating and construction supervision, which allowed us to complete the project on time, while phasing the project to maintain a usable bathroom for the client during construction.